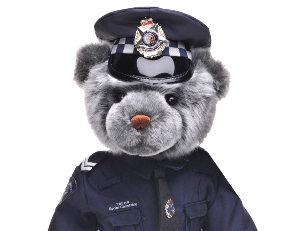 Attend a memorial service – on 29 September you can attend the metropolitan service at Kings Domain or one of the regional services to recognise police who have died in the line of duty. Donate to our Blue Ribbon Day Appeal – We remember lives by saving others. Building new and improved emergency facilities in Victorian hospitals that are then named in memory of fallen officers. Wear a blue ribbon – The blue ribbon is a visual symbol of your remembrance of the 159 police officers who have made the ultimate sacrifice. You can purchase from our online store. Visit your local Woolworths Store – Buy a $2 footy jumper token at any Woolworths Victorian supermarkets until 2 October. You can add your name to the token to be displayed instore as a public show of support. 100% of the funds support local hospital projects in honour of all those that have died in the line of duty.